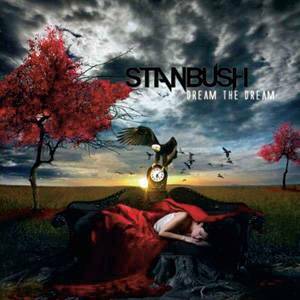 This is a very important album for Stan Bush as it is the highly anticipated follow-up to his 2007 critically acclaimed masterpiece “In This Life”. I am happy to say that “Dream the Dream” doesn’t disappoint. It very rare that an artist after more than two decades in the business and who has a very respectable catalogue of music comes out with the best album of his career so it is even more of a shock that he managed to pull it off on two back to back albums. With “Dream the Dream” Stan takes two steps forward and eight steps back. It is the natural follow-up to “In This Life”, but at the same time some of the songs are reminiscent of older albums such as “Call to Action” and “Every Beat Of My Heart” and the combination makes for a very positive, uplifting and enjoyable album. 1. The album starts of with “Never Hold Back” and this is a good example of what I was talking about. Sound wise it has that modern Stan Bush sound found on “In This Life”, but lyrically is right out of “Call to Action”. It has a cool guitar riff an awesome chorus and a killer bridge. 2. “Don’t Give Up on Love”- An mid-tempo balled, great intro nice chorus. 3. “Two Heart” – WIthout a doubt one of the songs of the year. The only way I can describe this song is as being Stan’s “Living on a Prayer”. Very uplifting, great arrangement, another awesome chorus. 4. “Love Is The Road” – In the same vein as “Two Hearts” and it has a few na na’s in the outro. Come on we all love a na na song. 5. “Dream the Dream” – The title track is just what you would expect from the name, a very uplifting Warrior song. Between two back to back amazing albums and his hit single “The Touch” from the original Transformers soundtrack getting huge exposure, Stan has definitely found his second wind and I am happy to get swept away with him.